optics in accordance with the global and international quality standards. We provide these features; it can be customized as per the specified requirements of our esteemed clients. We exclusively supply a range of indoor light fittings that has a wide demand in the markets. These are highly popular for their quality in durability, accurate functioning and energy saving features. CFLI White LX Surface Mounting, Mirror Optic and Glass Fitting AL 189. 2X36W 3x36W 18x18W Surface Paralite. CFLI White LX Surface Mounting, Mirror Optic and Glass Fitting AL 195. CFLI White LX Surface Mounting, Mirror Optic and Glass Fitting AL 197ze). We manufacture this product according to the requirements of the clients. These are CFLI White LX Surface mounting of Mirror Optic and Glass Fitting AL 181. 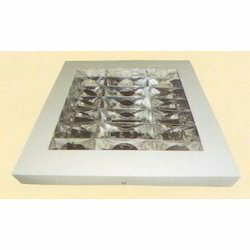 We supply this 2X18W Box Surface White with high quality raw material. These tube lights are available in different sizes, designs and power capacities to befit the demands of our clients. These are also manufactured in tune with international quality standards, these lights can also be availed in customized forms. We enable to offer these mirror optics fittings in different specifications. We manufacture this product with high quality materials. These are of 2X18W Surface Paralite and CFLI White LX Surface Mounting, Mirror Optic and Glass Fitting AL 182 .These tube lights are available in different sizes, designs and power capacities to befit the demands of our clients. These are also manufactured in tune with international quality standards, these lights can also be availed in customized forms. We supply these products that are enabling to offer these mirror optics fittings in different specifications. 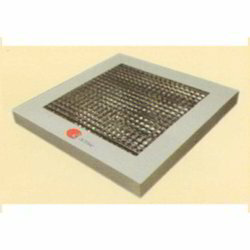 We manufacture this product with superior quality raw materials. We supply this 2X18W Tapper White with CFLI White LX Surface Mounting, Mirror Optic and Glass Fitting AL 183 .These tube lights are available in different sizes, designs and power capacities to befit the demands of our clients. These are also manufactured in tune with international quality standards, these lights can also be availed in customized forms. We supply these products that are enabling to offer these mirror optics fittings in different specifications. We manufacture this product with high quality materials. We supply this 1X36W Surface Glass with CFLI White LX Surface Mounting, Mirror Optic and Glass Fitting AL 184. These tube lights are available in different sizes, designs and power capacities to befit the demands of our clients. These are also manufactured in tune with international quality standards, these lights can also be availed in customized forms. We supply these products that are enabling to offer these mirror optics fittings in different specifications. 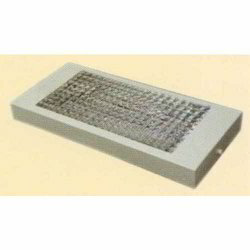 We manufacture this product according to the requirements of the clients. 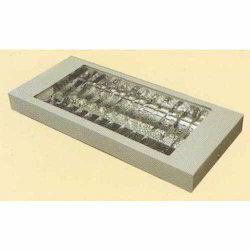 We supply this 2X11 & 2X18W 1X1 Glass Surface with CFLI White LX Surface Mounting, Mirror Optic and Glass Fitting AL 185. 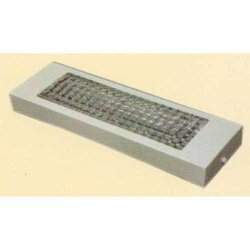 These tube lights are available in different sizes, designs and power capacities to befit the demands of our clients. These are also manufactured in tune with international quality standards, these lights can also be availed in customized forms. We supply these products that are enabling to offer these mirror optics fittings in different specifications. We manufacture this product with high quality materials. We supply this 2X11W & 2X18W Surface Paralite 1X1 with CFLI White LX Surface Mounting, Mirror Optic and Glass Fitting AL 186 These tube lights are available in different sizes, designs and power capacities to befit the demands of our clients. These are also manufactured in tune with international quality standards, these lights can also be availed in customized forms. We supply these products that are enabling to offer these mirror optics fittings in different specifications. CFLI White LX Surface Mounting, Mirror Optic and Glass Fitting AL 187. CFLI White LX Surface Mounting, Mirror Optic and Glass Fitting AL 188. CFLI White LX Surface Mounting, Mirror Optic and Glass Fitting AL 190. CFLI White LX Surface Mounting, Mirror Optic and Glass Fitting AL 191. CFLI White LX Surface Mounting, Mirror Optic and Glass Fitting AL 196. Looking for CFLI LX Surface Mounting Glass Fitting ?